Saw several of these critters on our tent while we were packing up in the morning; I’m in favor of anything that eats small insects, so Harvestmen get a pass. I don’t know if those frogs eat ’em, but that’s something they can work out without my attention. 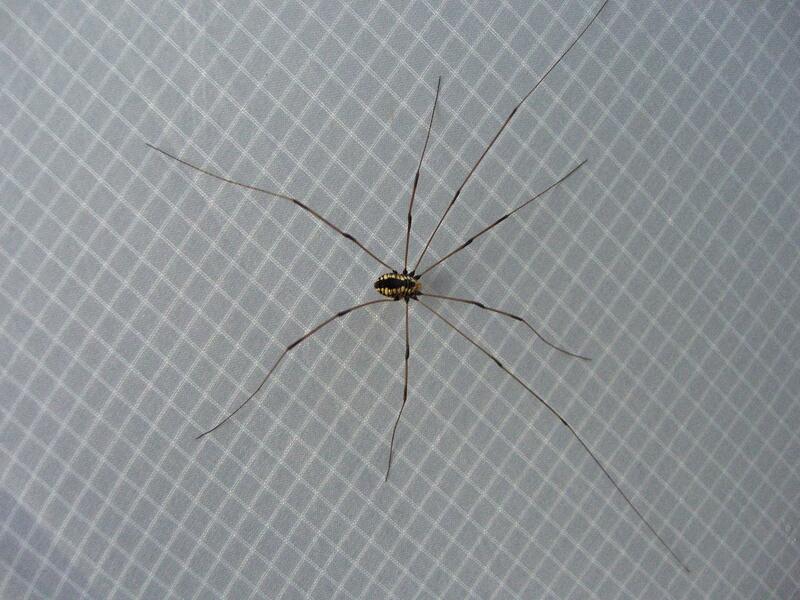 Then I found another Harvestman on a window when we got home. Not having seen the underside of one in quite a while, I was struck by the “alien face” pattern. 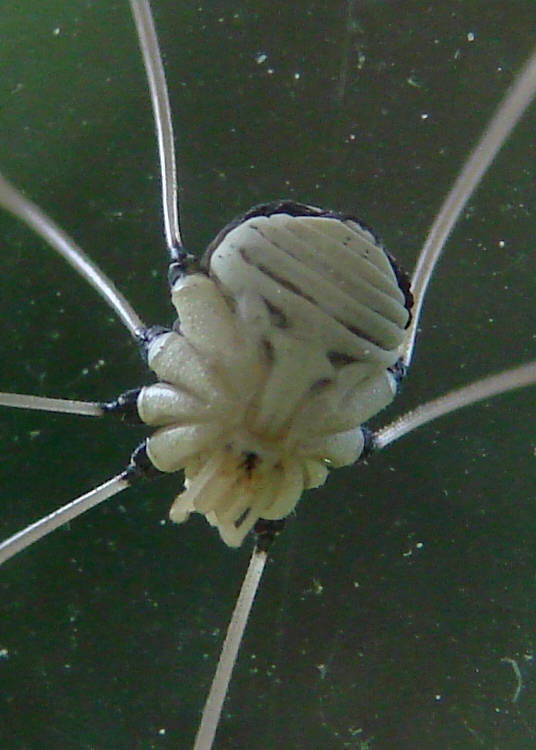 I suppose the reddish dot under the alien’s nose is the Harvestman’s mouth, just like it looks. They’re actually pleasant to have around and tickle mightily when they crawl up your arm. We gently deport them from the house and generally manage to deposit them undamaged on a plant, where we presume they’ll be much happier.